Tired of guessing which page protectors go in which album? Guess no more! Scrapbook.com Universal 12 x 12 top-loading page protectors for 3-ring albums are compatible with all the most popular 3-ring albums, saving you time, money and frustration when you need to protect your scrapbook layouts! These universal page protectors are top-loading and fit perfectly in all your favorite 12 x 12 album brands including We R Memory Keepers, American Crafts, Keeping Memories Alive (KMA), Pioneer, Simple Stories, Doodlebug, Project Life, Bo Bunny, Kaisercraft, Pebbles, and more! With these Universal page protectors, you’ll have no more headaches over mismatched page protectors in albums. You can quickly and easily transfer page protectors from one 3-ring album to another album – even of a different brand - without having to buy new page protectors or remove and transfer your layouts. 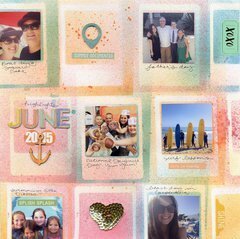 Scrapbook.com Universal 12 x 12 page protectors for 3-Ring Albums make your scrapbook layouts look beautiful, while keeping them safe for future generations to enjoy as well. These Universal page protectors are low glare and made from ultra-clear polypropylene film, so you see your layouts in crystal-clear clarity. 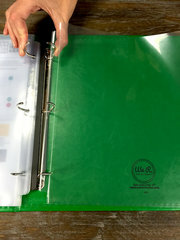 And because these archival quality page protectors are acid free and PVC free, they won’t damage your treasured memories. Instructions: To insert scrapbook pages into Universal 12 x 12 Page Protectors for 3-Ring Albums, first slide a finger between the two layers of the protector’s pocket to separate them. Holding the pocket just barely open, first slide one bottom corner of the page slightly into the pocket. Next, rotate the page to insert its other bottom corner into the protector. To display in the front of the Universal 12 x 12 Page Protector, the strip for the 3-Ring binding should sit on the left of the page. For the back of the protector page, the 3-Ring binding strip is on the right of the page. Tip: Each page protector will hold two scrapbook layouts placed back to back for double sided pages in an album. Rather than inserting both layouts at once in a stack, slide in one layout at a time for easier insertion and to prevent page damage. Tip: To insert a stack of page protectors into a 3-ring album, align their holes and grip the binding strip near the holes to keep them aligned as you slide the pages onto the album rings. 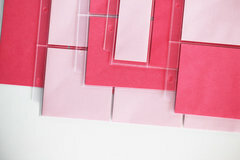 Get more tips, tricks, and ideas about Scrapbook.com Universal 12 x 12 Page Protectors for 3 Ring Albums – 50 pack by watching our videos about them!